Real Deal Retirement » Blog Archive » Should I Buy An Annuity Even If My Adviser Says It’s A Bad Idea? Should I Buy An Annuity Even If My Adviser Says It’s A Bad Idea? I have roughly $1 million in retirement savings and plan to retire in few years. I won’t have a company pension, so the idea of devoting maybe a third or so of my savings to an annuity to create guaranteed income that can cover fixed expenses and isn’t dependent on the whims of the market appeals to me. The rest of my savings will remain invested for income and growth. An investment adviser I met with is adamantly opposed to this idea and chided me for even considering it. What do you think of my plan? It may seem strange that annuities, an investment that makes most people’s eyes glaze over, can arouse such strong feelings in investment advisers. But they do. 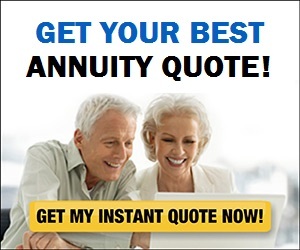 I find that many advisers champion annuities and see them as being good for whatever ails you. And then there are those, like the adviser you mentioned, who think of them as foolish investments (or worse) and who wouldn’t dream of recommending one. Not surprisingly, people who make a good part of their living selling annuities tend to fall into the first group, while those whose business is investing people’s money for an annual fee tend to dominate the second. Unfortunately, what often doesn’t get the attention it deserves while the pro-annuity and anti-annuity camps duke it out, are the needs of people like you, who don’t have a stake in the annuity battle either way. Whether it means investing in an annuity or not, your aim is to ensure you’ll have sufficient income the rest of your life. So let’s use that as a starting point for answering your question: Does the plan you suggest—i.e., combining an annuity with traditional investments like stock and bond mutual funds—make sense as a way to turn savings into retirement income that has a good chance of supporting you the rest of your life? Can You Pass The Retirement Income Quiz That Most Seniors Flunked? My answer: Your proposed strategy isn’t the only way to go, but it certainly has merit and is worth considering (and definitely isn’t something you deserve to be chided for suggesting). Just as there are many varieties of mutual funds and ETFs, however, there are many different types of annuities. 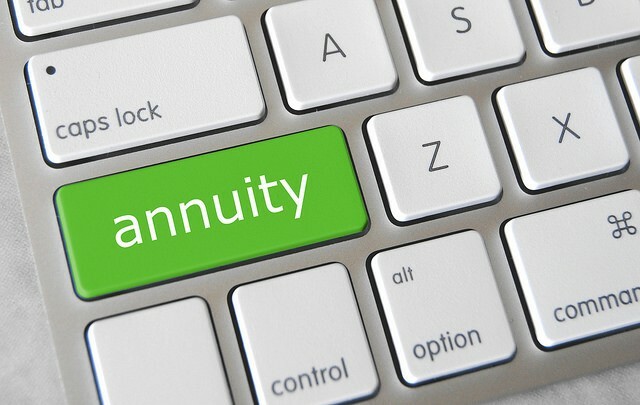 And when it comes to your strategy of using a portion of your savings to generate reliable lifetime income to cover retirement expenses, the type of annuity that I think makes the most sense is a no-frills, plain-vanilla, garden-variety immediate annuity. So, for example, a 65-year-old man who invests $100,000 in an immediate annuity today would receive about $540 a month for life, a woman the same age would get about $515 and a 65-year-old man-and-woman couple taking the joint-and-survivor option would collect about $460 a month. You can get quotes for different ages and amounts invested from this annuity calculator. Of course, if you die soon after investing in the annuity, you’ll have invested a sizable sum of money but received little in the way of payments. So an immediate annuity probably doesn’t make a lot of sense if you’re sure you’ll have a short lifespan (although even then investing in one and opting for the joint and survivor option could be worthwhile if you have a spouse or significant other who’s likely to long outlive you). There are other potential drawbacks you also need to be aware of. Once you invest your money, you have no, or very limited, access to those funds. And unless you opt for an annuity that provides a payout that rises with inflation (which relatively few people do because the initial payout is considerably lower than payments that aren’t adjusted for inflation), your monthly payment will lose purchasing power over the long term. How Much Income Will You Really Need In Retirement? In any case, the strategy you suggest seems to me at least to have a compelling underlying logic to it. By combining an immediate annuity with traditional investments you’re getting the best of both worlds, an annuity’s ability to efficiently generate income that’s actually guaranteed, plus you get the liquidity and long-term growth potential of traditional investments. I know that advisers who eschew annuities will say that investing all of your money in a portfolio of stock and bond funds (or paying them do it for you) can generate higher returns and a higher income throughout retirement. And that may, or may not, be true, depending on what returns the financial markets deliver and how much of whatever return your nest egg earns goes to you after fees and expenses. But no adviser or systematic withdrawal system can guarantee payments regardless of how long you live. Sure, you may be able to dramatically reduce the chances of depleting your nest egg by setting your withdrawals low enough. (This retirement income calculator can estimate the probability of running out of money at different withdrawal rates.) But the more cautious you are about withdrawals in order to conserve your dough, the less money you’ll have to spend in the early years of retirement. Which means you could find yourself in the position of looking back late in retirement and wishing you’d spent more freely and enjoyed yourself more early in retirement. Even if you’re okay with the pros and cons of an annuity, that doesn’t necessarily mean you need another one. I say “another” because you’ll already qualify for an annuity that makes guaranteed lifetime payments—namely, Social Security. So I recommend you first check to see how much of those fixed expenses you mentioned will be covered by Social Security before before you use any of your savings to buy yet more guaranteed income. If the amount you’ll collect from Social Security (which you can estimate by going to Social Security’s Retirement Estimator) will pay all or most of your basic expenses (which you can gauge by doing a retirement budget), then you may not need an annuity. If, on the other hand, the gap between your essential expenses and your Social Security income is sizable, then bridging that gap with income from an annuity may make sense. Even if you conclude that putting a portion of your savings into an annuity does indeed make sense for you, I recommend that you consider investing gradually rather than all at once. Why? Well, even if you follow my suggestion to create a retirement budget before you retire, it may still take a few years of actually living in retirement to get an accurate fix on what your expenses and income needs will be. So to avoid ending up with more guaranteed income than you actually need, you might consider investing in stages, in your case maybe investing $100,000 in one annuity when you retire and then re-evaluating in a year or so. If you decide you need more guaranteed income, you can always buy another annuity later (and another after that if you wish). Buying in stages will also prevent you from putting all of your money into annuities when interest rates, and thus annuity payments, are at a low point. Finally, you’ll also want to make sure you compare quotes from several insurers and diversify by spreading your money among the annuities of two or more highly rated insurance companies, preferably investing no more with any single insurer than the coverage limit of your state’s insurance guaranty association. For more on what you need to know when choosing an annuity, check out this earlier column of mine that outlines five tips for finding the best annuity for lifetime income.